I already posted our favorite thing at the San Antonio Zoo, the butterfly tent. A close runner up (not the lions or tigers!) 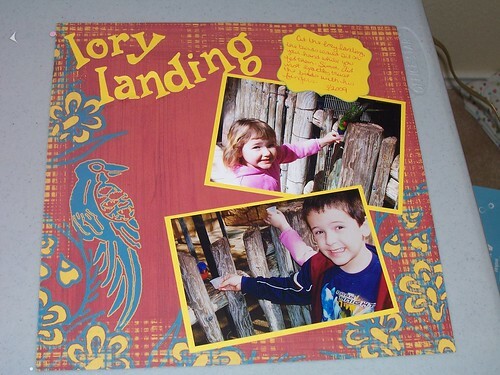 was the Lory landing. In the Lory landing you can purchase a little cup of "Lory food" (I think it's just sugar water) in a cup and the birds will sit on your hand and eat out of the cup. As you can see in the picture, Simon was not sure he wanted the bird to eat so close to him!